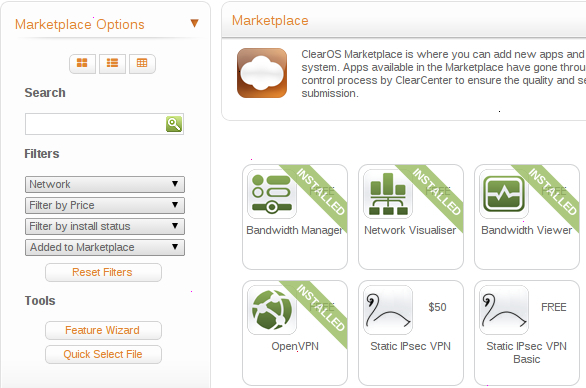 ClearOS Community 6.5.0 Beta 2 has arrived! Along with the usual round of bug fixes and enhancements, version 6.5.0 introduces Marketplace enhancements, a Network Detail Report, an Administrators app,Official Amazon EC2 Support, a Software RAID Manager, Mail Archive,UPnP Support, an updated Web Server app, as well as new reporting features. The Professional Edition beta will be available the week of October 14.